Private sector payrolls in America rose by 129K in March, according to a new ADP report. That was the smallest increase since September 2017 and much worse than expected. 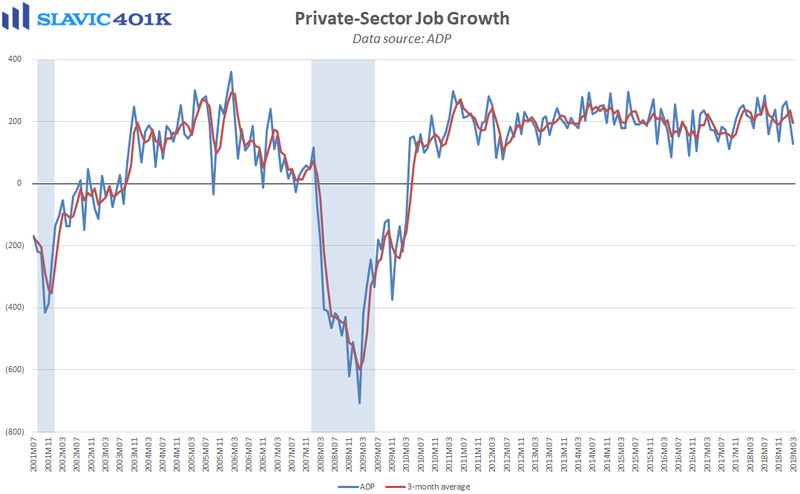 The February gain, though, was revised higher and helped keep the less volatile 3-month average pace of private-sector job creation at a still very healthy level of 196K. 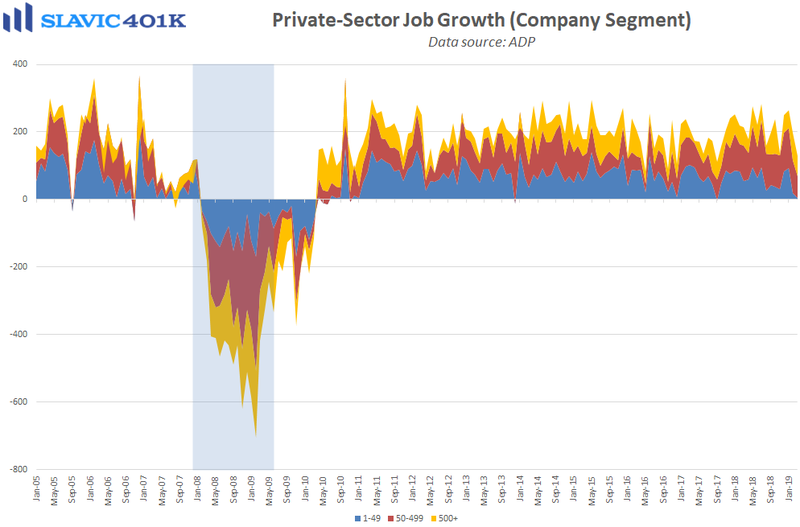 This ADP data series historically has not been the best predictor of the bigger nonfarm payrolls reports released each month by the Labor Department and instead is better viewed as a confirmation of recent labor market trends. 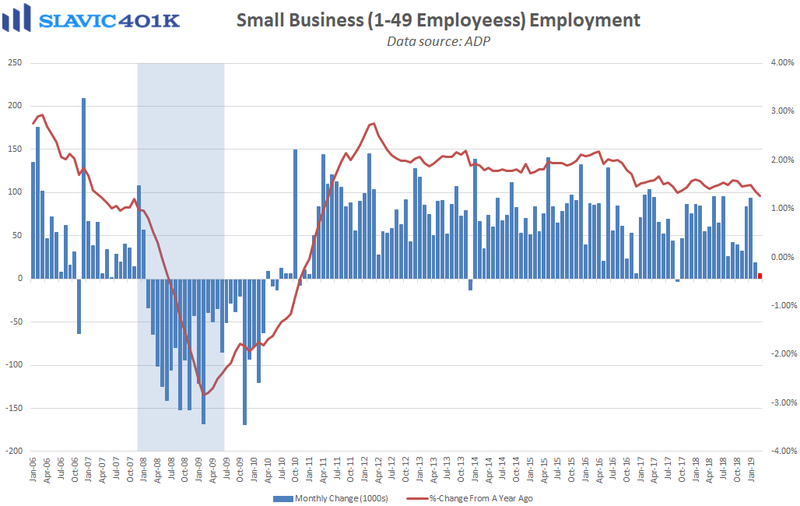 Today’s softer print therefore makes sense following February’s sharp slowdown in hiring and overall agrees with the moderating pace of job creation that is typically seen in a tightening labor market this late in the economic cycle. Moreover, the skills mismatch between job seekers and vacant positions has become greater and made the competition for talent heat up. This has hurt smaller businesses the most since these firms often have a harder time offering employee compensation packages as attractive as what can be found at large corporations. In fact, payrolls at companies with 1-49 workers rose by just 6K in March, the smallest increase since September 2017, and hiring at these firms accounted for just 4 percent of all the private-sector payrolls added to the economy last month.